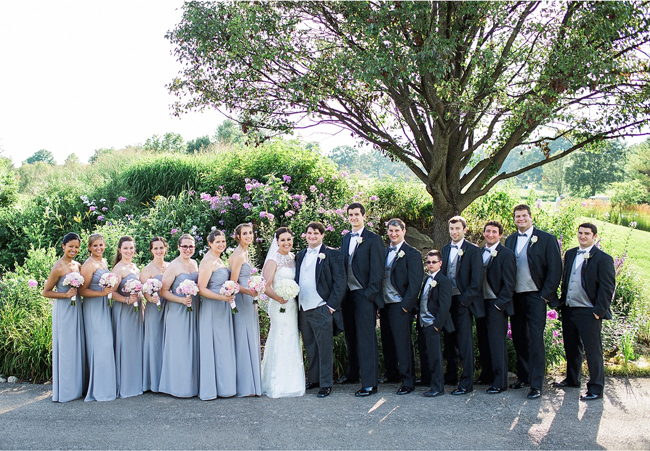 Stacia and Tom exchanged their vows at Holy Trinity in Westmont, then celebrated their July wedding with friends and family at the beautiful Seven Bridges Golf Club in Woodridge. What a great location! 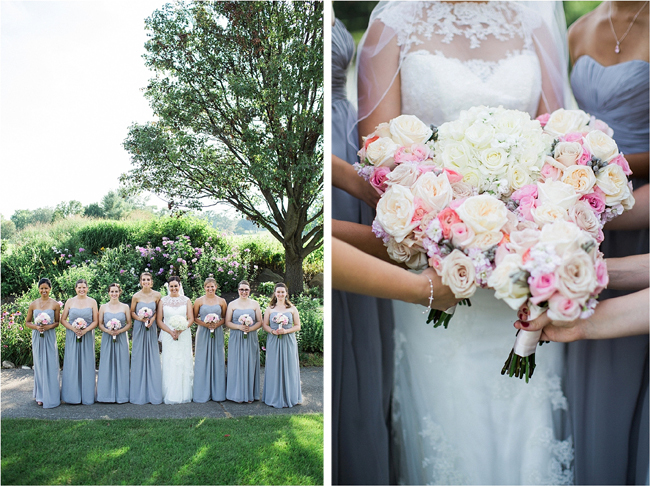 Their floral bouquets featured stunning white, pink, and blush roses for the wedding party and simple, understated clusters of fresh hydrangea and babies breath at the reception. 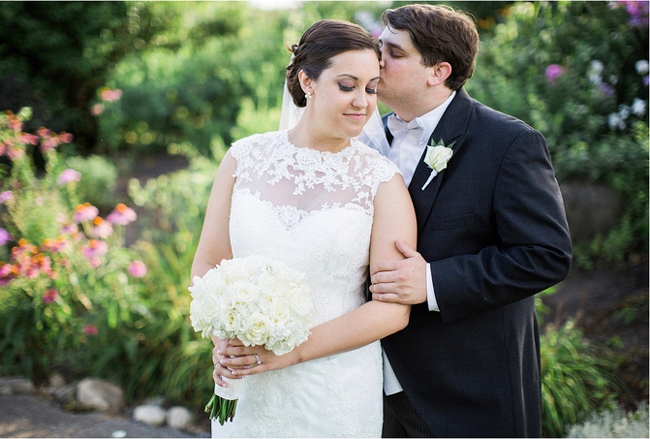 It was a gorgeous day for this wonderul couple, and we were so happy to play a small part. 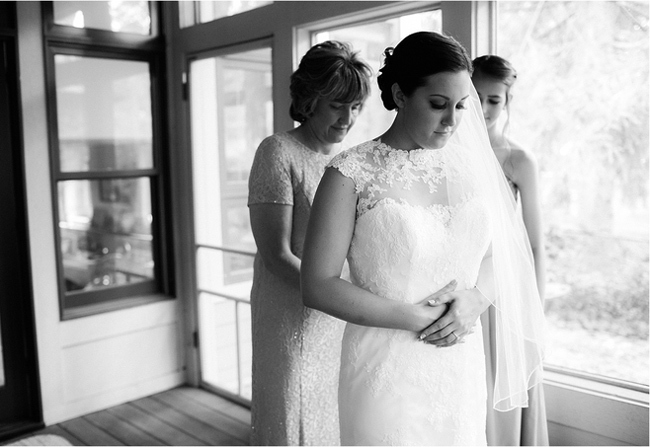 See more of their memorable wedding at Jenna Marie Photography. Best wishes Stacia and Tom. We wish you a lifetime of love and laughter.